Last night, Roy Halladay pitched a no-hitter—facing only 28 batters. Fewer batters (and no pitching changes) results in a shorter baseball game. Shorter games mean less electricity used at ballparks. 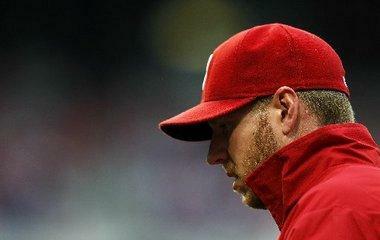 Yeah, I said it: Halladay's dominance mitigates global warming. What can't the man do?